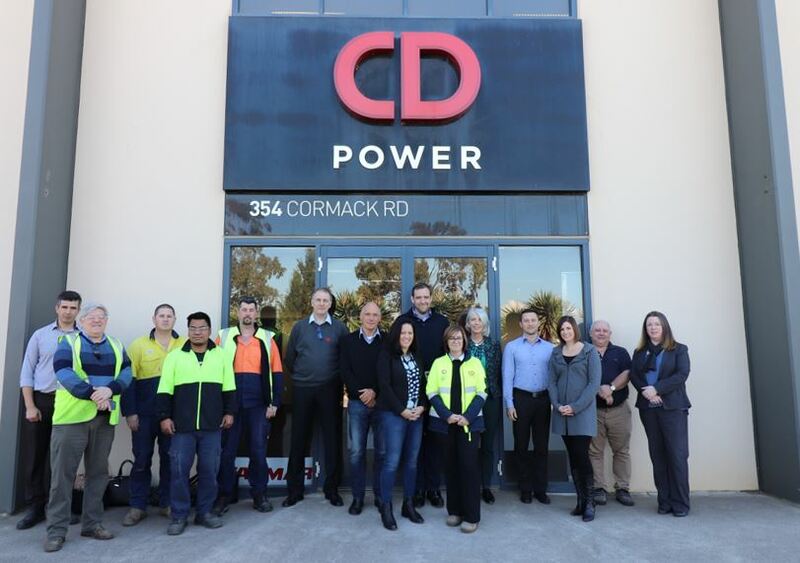 A first-of-its-kind solar hybrid power generator was the catalyst for a recent site visit by representatives from National Energy Resources Australia (NERA) to CD Power. Made possible through grant funding provided by NERA, and in partnership with QGE and Origin Energy, the R&D project is currently in the operation and testing phase. Once completed, the solar hybrid power generator will provide innovative solutions for wellsite power generation and offer economic and environmental benefits, to name a few. Francis Norman, General Manager Innovation and Strategy at NERA attended the site visit for an update on the progress of this cutting-edge technology. “It was fascinating to visit the CD Power facility and see first-hand the solar/battery hybrid technology package they are developing which NERA is supporting,” Francis said. The main benefits of the solar hybrid technology include an anticipated 40-50% reduction in generator operating hours and maintenance costs, an improvement in the service life of generation equipment and a decrease in carbon emissions and noise. The NERA funding was accessed through the Clean Technology Funding Grants. CD Power’s Greg Harris was instrumental in securing the grant funding which will see the project implemented over the next 18 months. “We had a design concept of what the key performance indicators for the hybrid site needed to be,” Greg said. The trial is expected to take place in Spring Gully, Queensland commencing in August 2018.